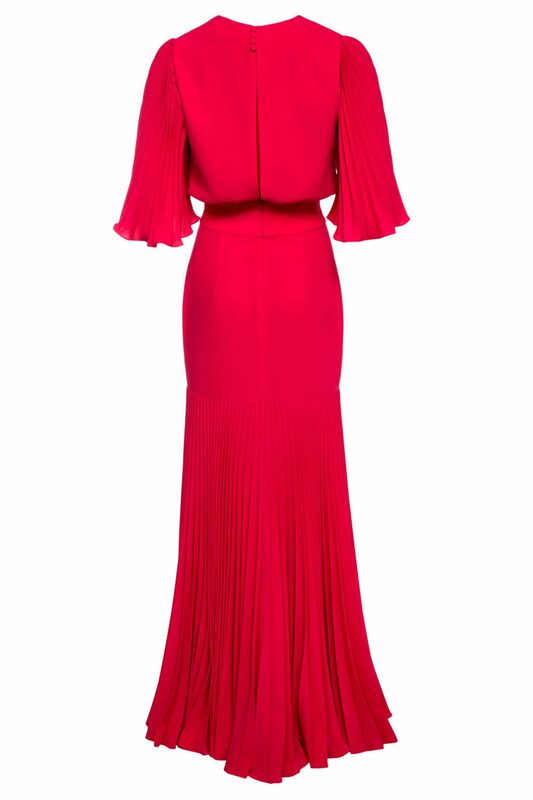 Designed to skim your curves, the Ruby gown has voluminous pleated sleeves and seam details in the skirt for definition. 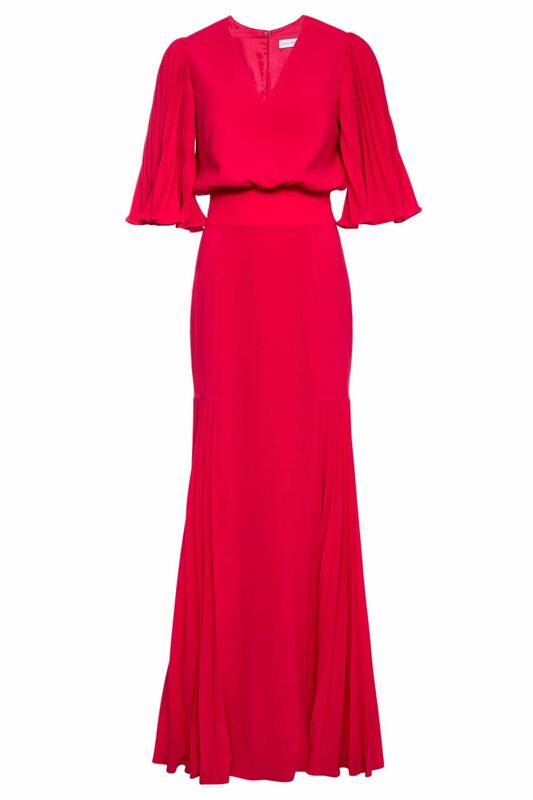 The dress is crafted from bright raspberry red crepe in a floor-skimming silhouette that will see you through weddings and galas alike. Styling tip: Style yours with an equally bold red lip.